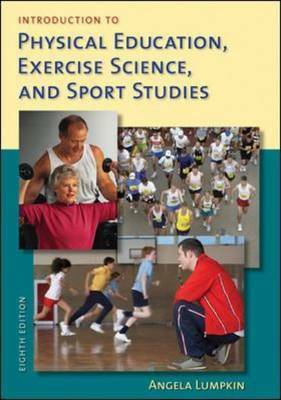 This accessible introductory text explores the history, philosophies, and principles of today's physical education programs within a practical, career-oriented framework. "Introduction to Physical Education, Exercise Science, and Sport Studies" explores the wide variety of career opportunities available in physical education and sport, including many non-teaching-related careers. This textbook teaches students how to make informed choices about their majors and maximize their professional studies by explaining the origins of different careers and the skills necessary to perform well at them. The eighth edition includes updated information on new individuals featured in career perspectives, additional web resources, current information and data about physical activity, more information about sport nutrition, and guidance on how to address ethical situations in physical education and sport. Student learning is the focus of Angela Lumpkin's approach to teaching. She first seeks to learn who her students are and what they know so that she and her students can work together to determine what they need to know and be able to do. This instructional approach has enabled her to help students effectively explore the fields of physical education, exercise science, and sport studies through the variety of course she had taught from history and philosophy of physical education and sport to sport management. Dr. Lumpkin began her career at the University of North Carolina in 1974 where she advanced to become the first female in the Department of Physical Education to become a full professor. Her undergraduate degree is from the University of Arkansas and her Ph.D. in sport history is from The Ohio State University. Dr. Lumpkin also has an MBA from the University of North Carolina at Chapel Hill. She is currently Dean of the School of Education at the University of Kansas. Dr. Lumpkin has held leadership positions in the North Carolina Alliance of Health, Physical Education, Recreation and Dance (NCAHPERD), the National Association for Sport and Physical Education, and many other professional organizations. She is the author of seven books including Introduction to Physical Education, Exercise Science and Sport Studies, fifth edition, and has written numerous refereed articles and made over 100 professional presentations.